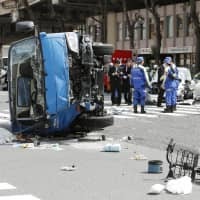 Police referred 10 men to prosecutors Wednesday for allegedly overturning a small truck during a Halloween event in late October in the busy Shibuya district of Tokyo. 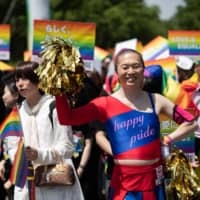 The men, aging from their late teens to their 30s, are made up of Japanese and foreign nationals including French, British and Belgian students and tourists, investigators said. 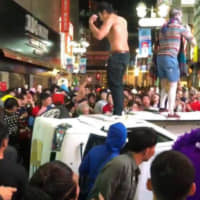 At around 1 a.m. on Oct. 28, the men were allegedly involved in flipping a truck as crowds in costumes gathered near Shibuya Station in central Tokyo. 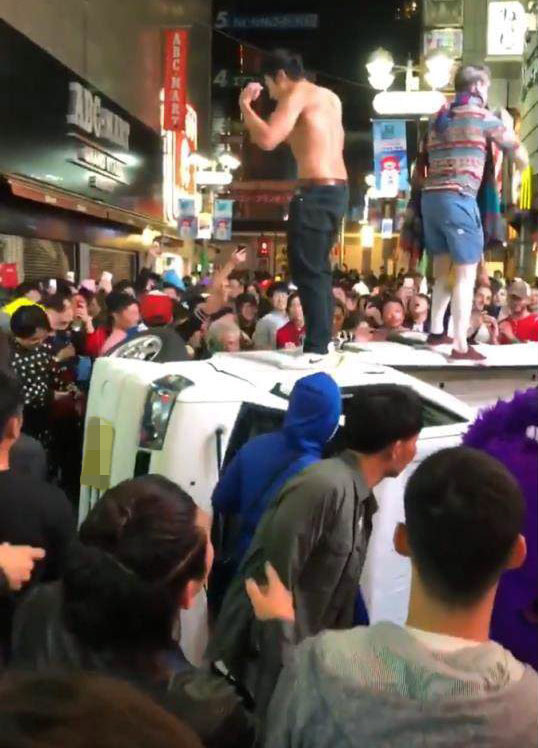 There were no injuries in the incident, one of a series of escalating pranks at the increasingly popular Halloween event in the district. 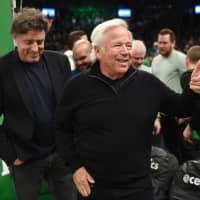 The men were identified after police analyzed footage from about 250 security cameras in the area, the investigators said. Four other men in their 20s were arrested in December in relation to the incident on suspicion of property destruction. The police said they were particularly culpable as they were seen standing on the vehicle and damaging it. Two of them were fined ¥100,000 ($920), while the other two had their charges dismissed. The police also believe that another man was involved and are continuing their investigation. Concern is growing over the raucousness of the Halloween street party, which attracts many people clad in fancy dress, along with the massive amount of litter that tends to be left after the event.